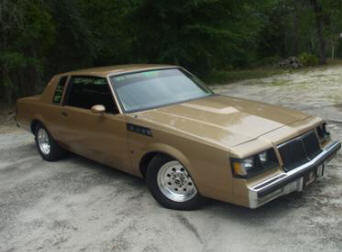 Have you driven a 1984 Buick Regal? 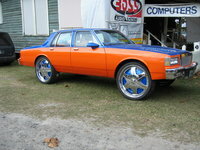 Displaying all 4 1984 Buick Regal reviews. 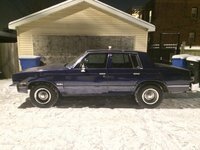 My 1984 Lowrider Regal — this been a really good car,i owned it for the past 4 years.it cheap to fix and probably the best car you can own.i love it and you cant beat it.if your looking for a project go g-body its the best and very fast.it had a 383 with a 700r trans before i droped the new motor.i just wanted it to sound nice while driven and that im not racing all the time. 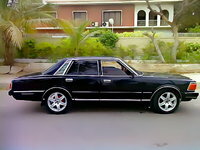 this really been great project.i have 2 sets of rims 13'7 80's and 14 center gold daytons.has a killer system 14 speakers installed im about to start the body work and im painting the car what with gold flakes.it has a factory sunroof.and i just got the monte carlo bucket seats im about to put in.it has a alpine cd player with a alpine cd changer. i like it old school.